Erin Boris joined the Advancement team in 2017, coming to Edgewood College from the Goodman Community Center. 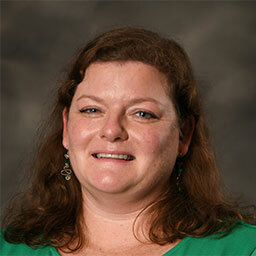 She is the Administrative Assistant for the Advancement office and a part of the Advancement Services Team. She earned her bachelor’s degree in International Studies and Spanish from St. Norbert College in De Pere, WI. Outside of work, Erin enjoys spending time with her family, going for walks with her dog, and traveling with friends.